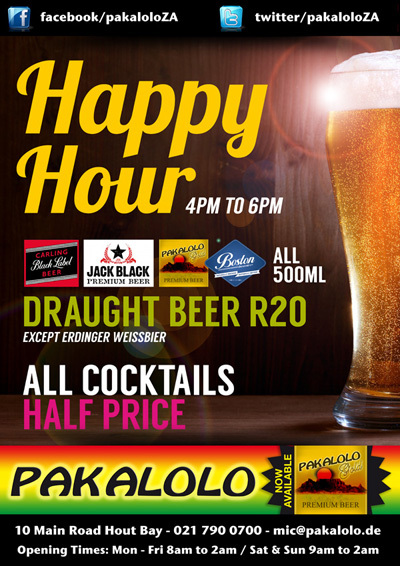 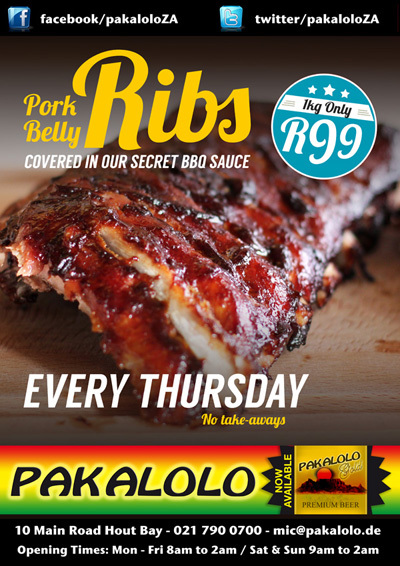 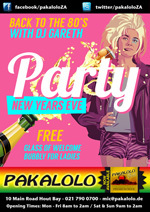 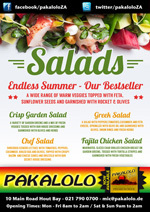 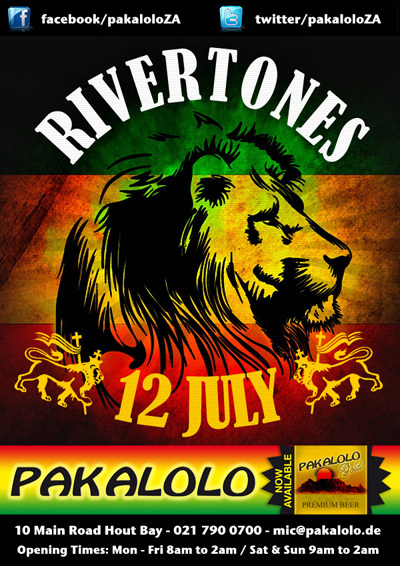 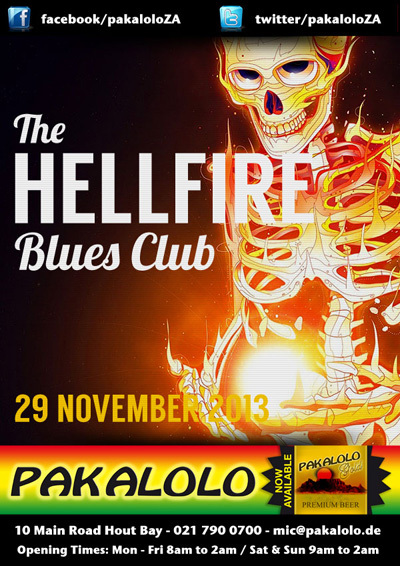 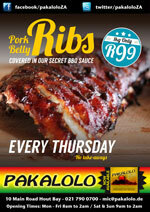 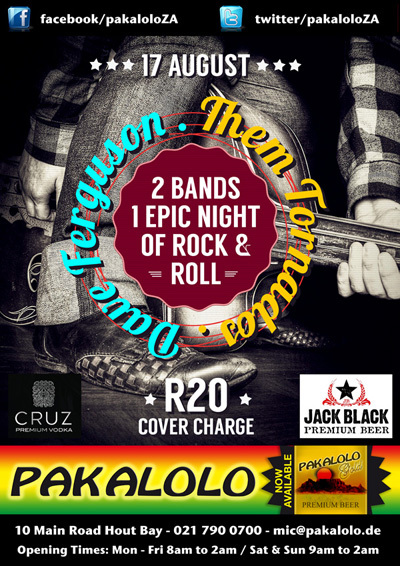 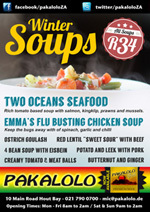 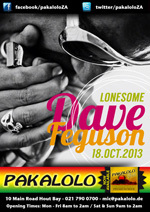 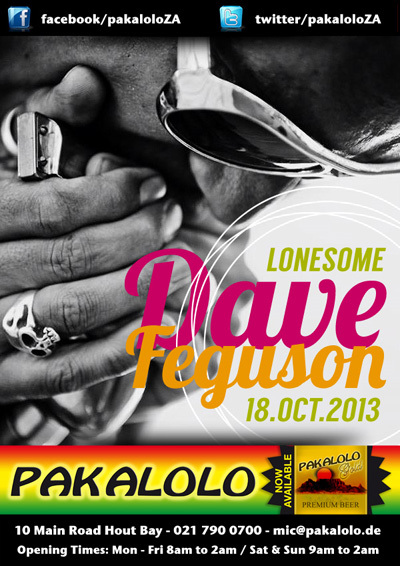 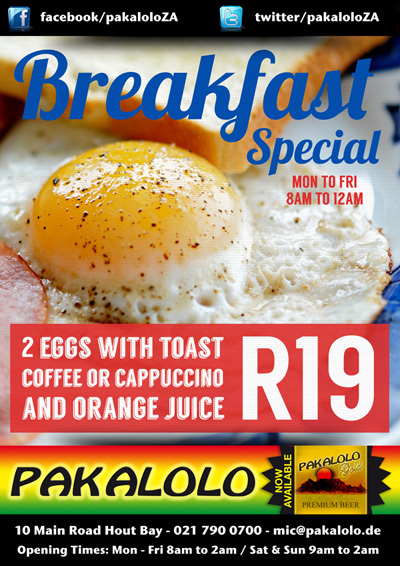 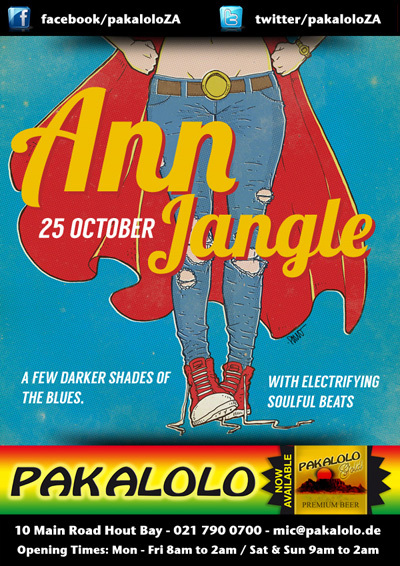 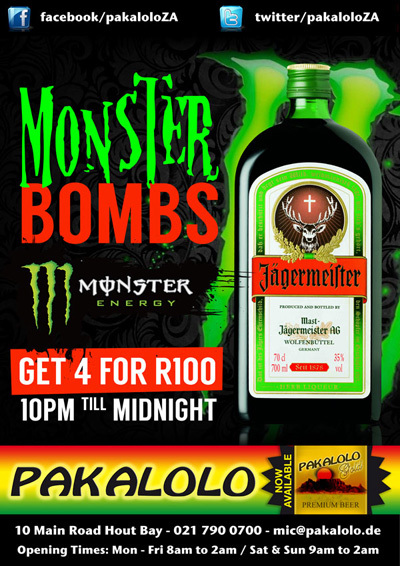 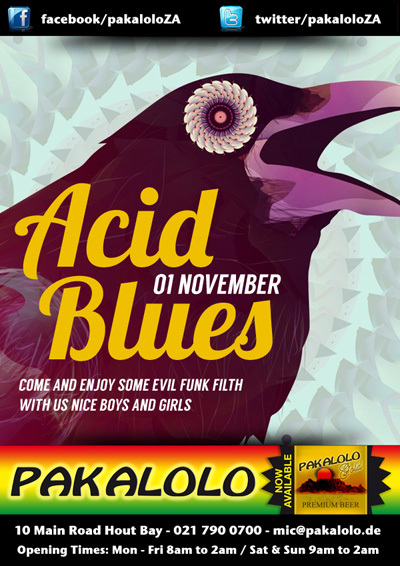 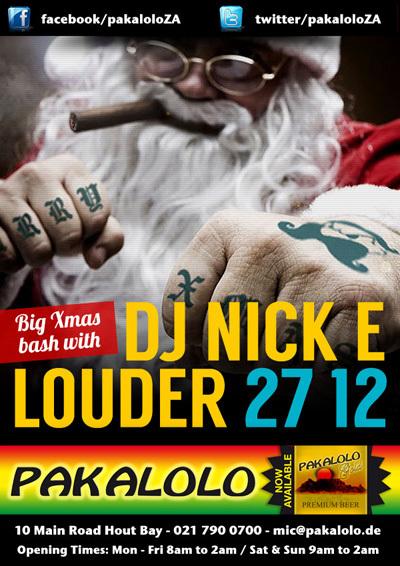 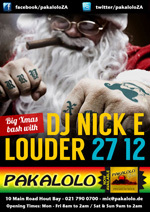 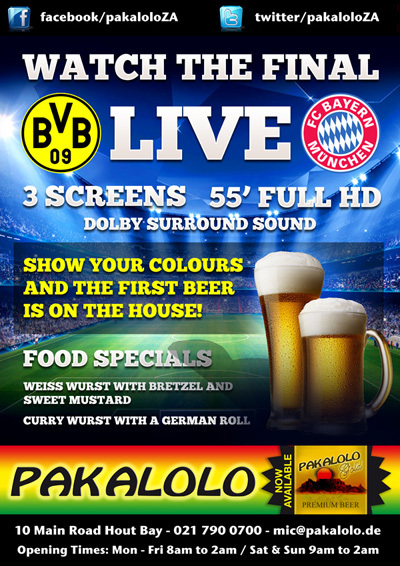 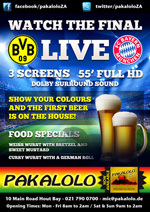 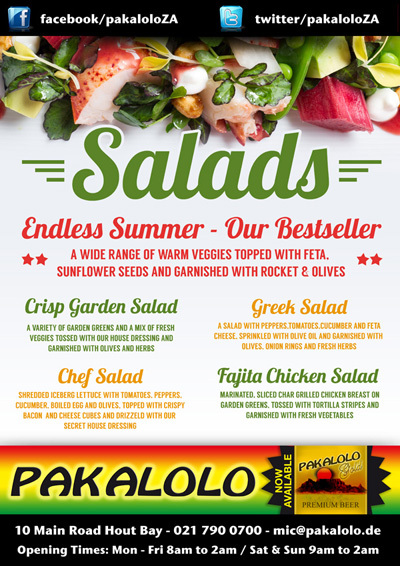 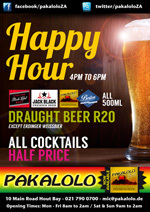 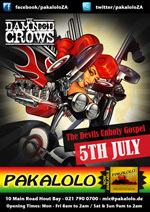 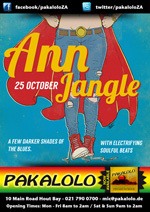 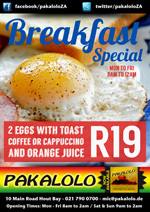 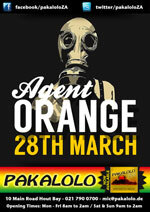 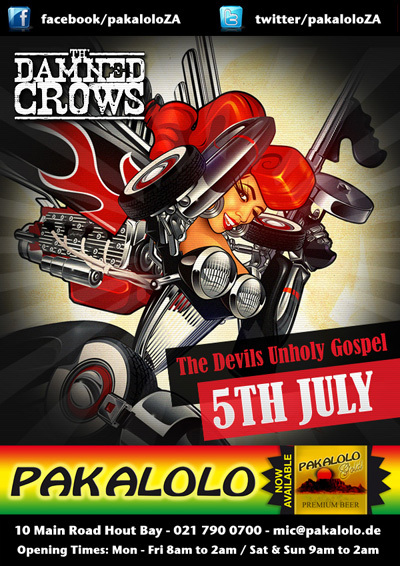 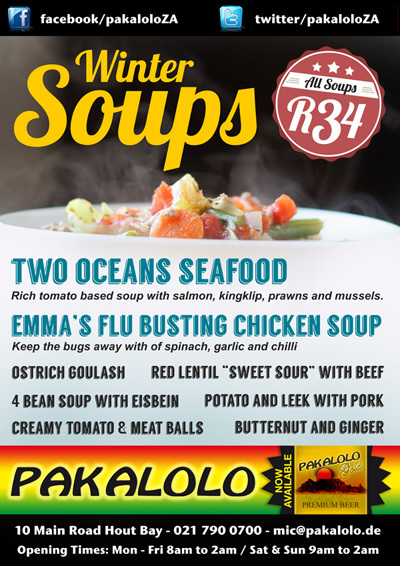 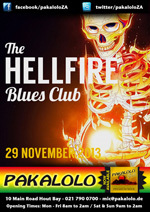 I produce weekly promotional posters for Pakalolo Restaurant in Hout Bay. 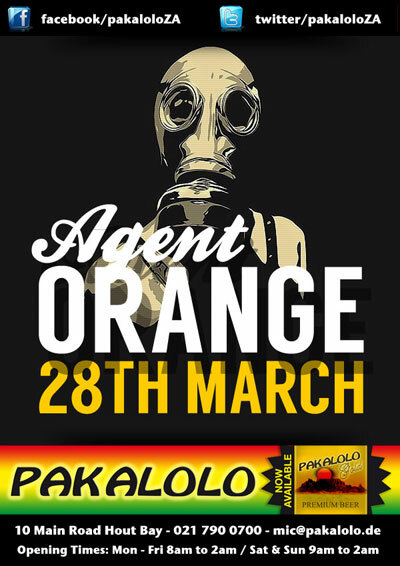 These are the printed out for use at the venue and posted all over the web and social media. If you are a happening place and you need some posters give me a shout and I'll work out a sweet deal.